I have another Covered in Love donation quilt in progress. 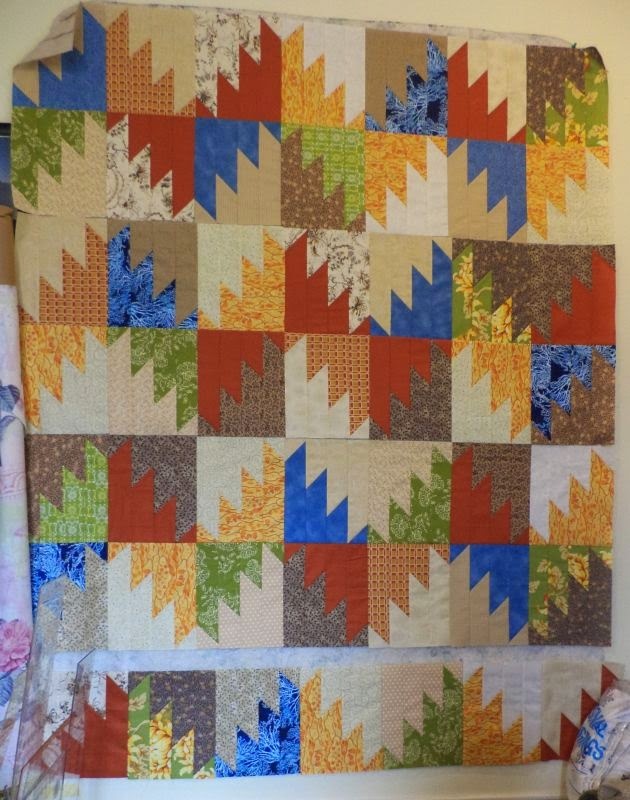 This is Bonnie Hunter's Scrappy Mountain Majesties design. My first time doing a Bonnie Hunter quilt. I did make the blocks larger. Nice block. I am going to have to go over to her site I just cut a whole bunch of fabric with my various accuquilt dies. Now I am on the hunt for designs. This looks great! I made this pattern last year too and still love it! I haven't made this pattern, but really like it. It looks great with your fabric selections. Lovely.